These first four photos show the high chair after I bought it. 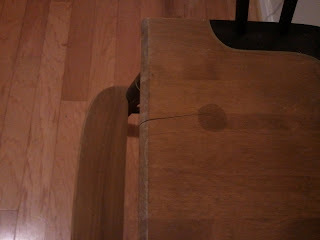 The second photo shows a crack in the seat that was repaired. 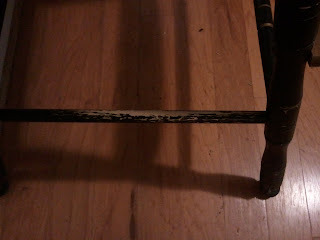 The third photo shows areas where the black paint had chipped off. 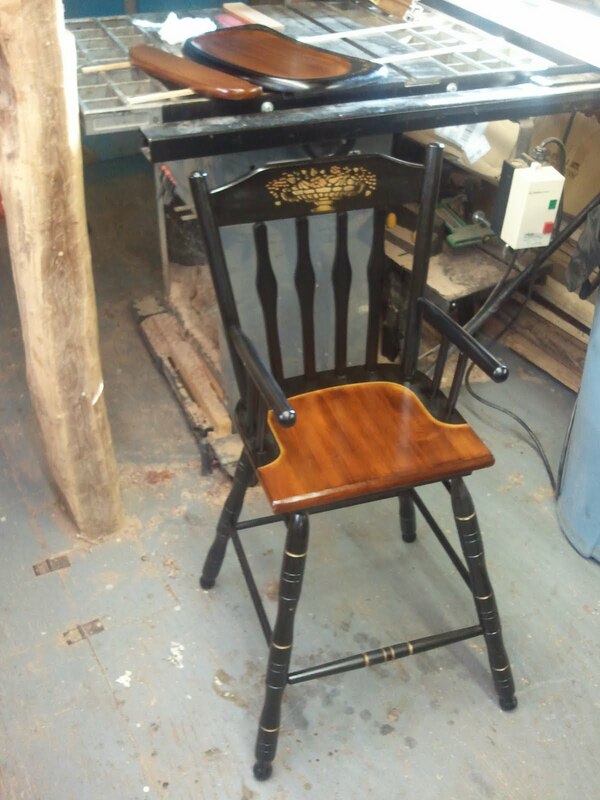 The customer wanted to have the wood parts refinished like the other one that I had worked on. Here is a photo of the seat after the finish was removed followed by another photo of the tray and foot rest with the finish removed. These next two photos show the wood parts after they were sanded and stained. 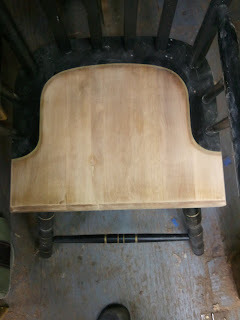 The next two photos show the chair during the finishing process. 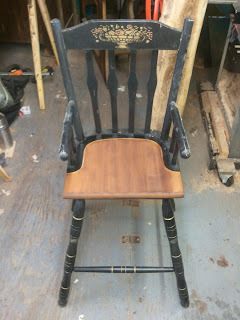 Here are some photos of the completed chair. All of the black paint was touched up. After these photos were taken the chair was packed and shipped to the customer. Fun reading, and looking at your photos! 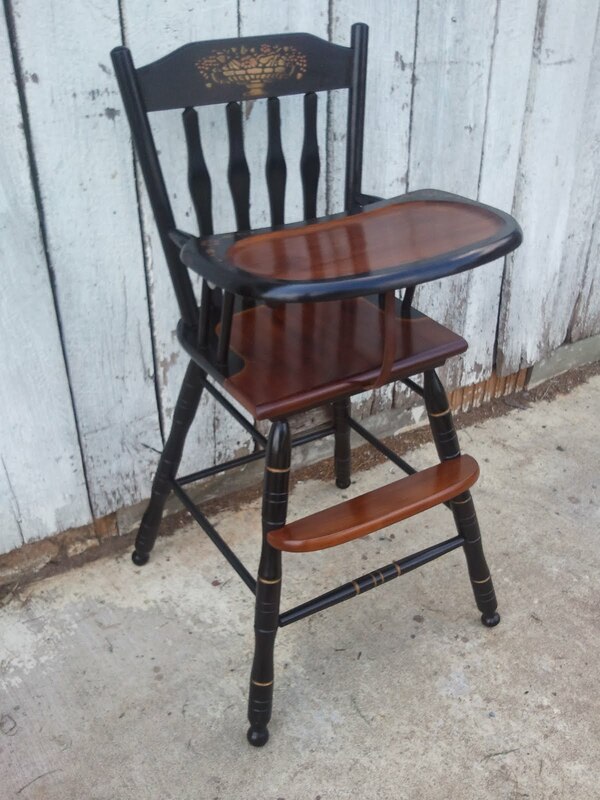 I own that high chair as well, and it was almost on the way out with a truckload of things I was getting rid of, and I pulled it back - just couldn't give it up, despite its poor shape. Looked pretty much like your "before" photos. I had a local refinisher who I had used previously come pick it up, and now it looks as good as new. It restored beautifully, and I'm so glad I kept it. 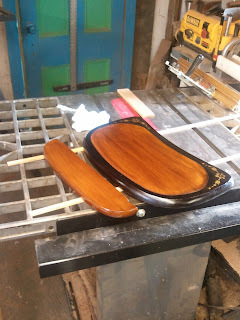 It looks almost the same as yours, although the wood stain my guy used is slightly lighter. I don't believe he refinished the foot rest - it was in fine shape, and the original stain is still on it, which he matched. I like the color of the rich brown you used. I would post a picture of mine in this comment, but I don't see a way to do that. Anyway, I now use the high chair for my grandchildren, but I don't let them bang their silverware on it!! 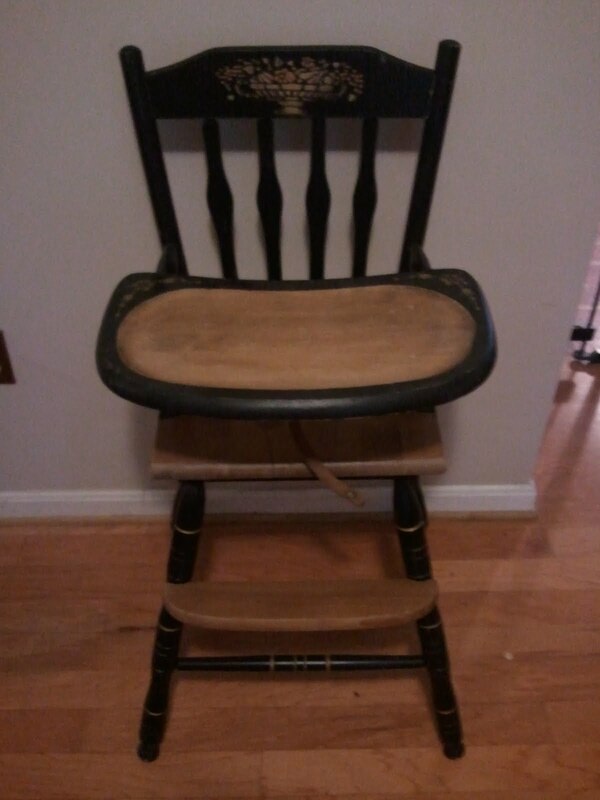 Some history: I purchase this high chair new for my first child. He was born in 1977, so my guess is I bought it in 1978. 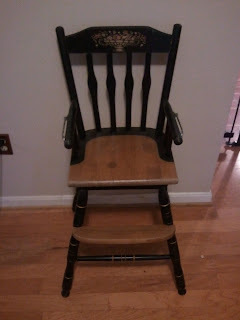 Don't know how long Hitchcock made this chair before then, or how long afterwards it was made. I had four children, and all four of them used this chair, so my tray was pretty well worn! I had a Hitchcock dining set in my kitchen - only it was all medium/dark brown stain on maple, not the black and light brown. 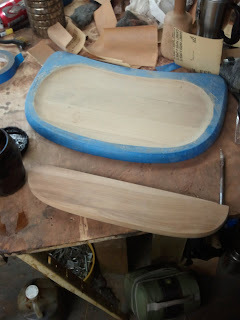 I just gave that set away this week, as well as a Hitchcock rocker. I cringed as it left, but I wasn't using those pieces, and just couldn't store them anymore. 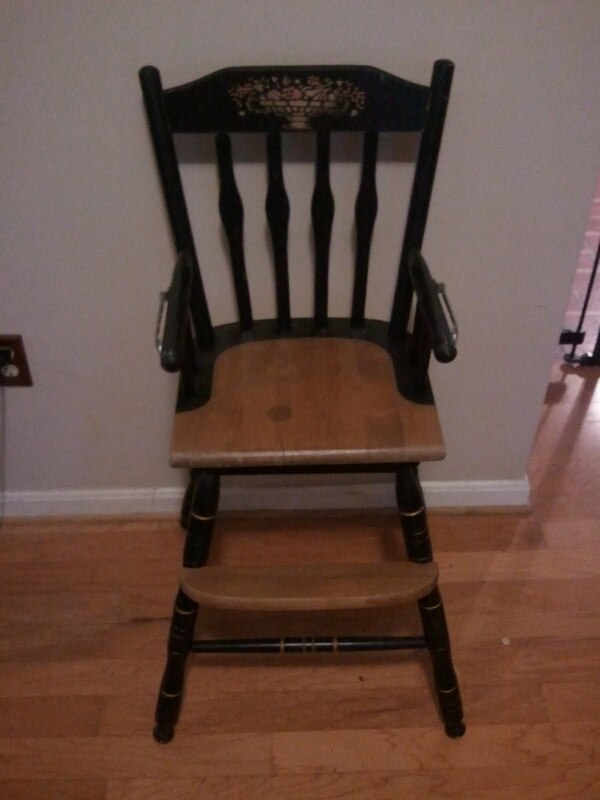 Still have a Hitchcock bedroom set, rush-seat desk chair, and a bench, and those are all treasured pieces - still in great shape, and still being used. 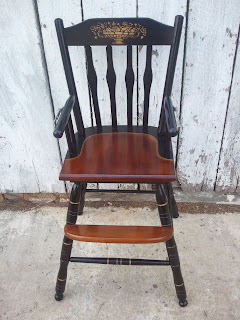 I enjoyed your post - you did a beautiful job of restoring this special little chair! 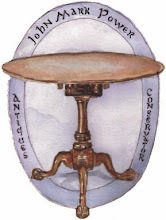 I have many pieces of Hitchcock furniture and just love them. Some of the black paint has chipped off and I'd like to repair it. What paint should I use and what tips can you give me. 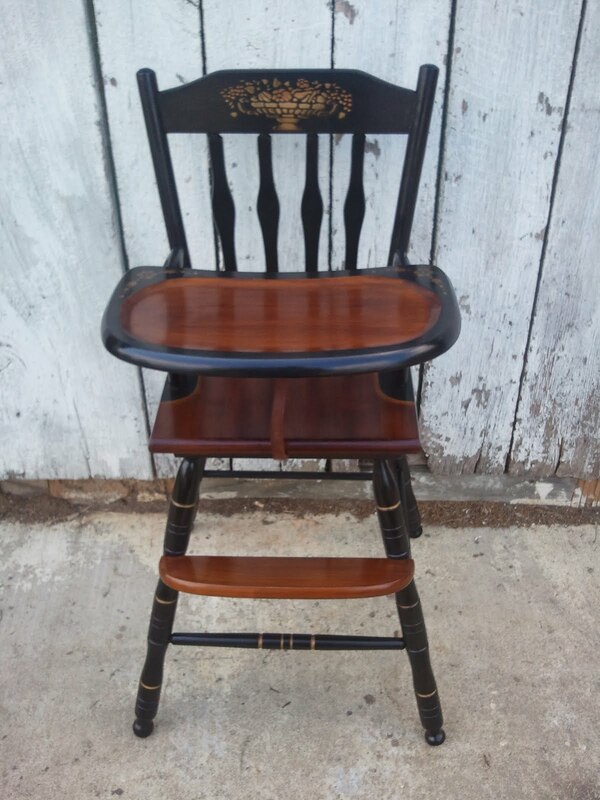 I, too, have a Hitchcock style high chair. I bought it for my son in 1972, and later used it for my daughter. When my grandsons came along, I touched up the black paint and reconditioned the leather strap. 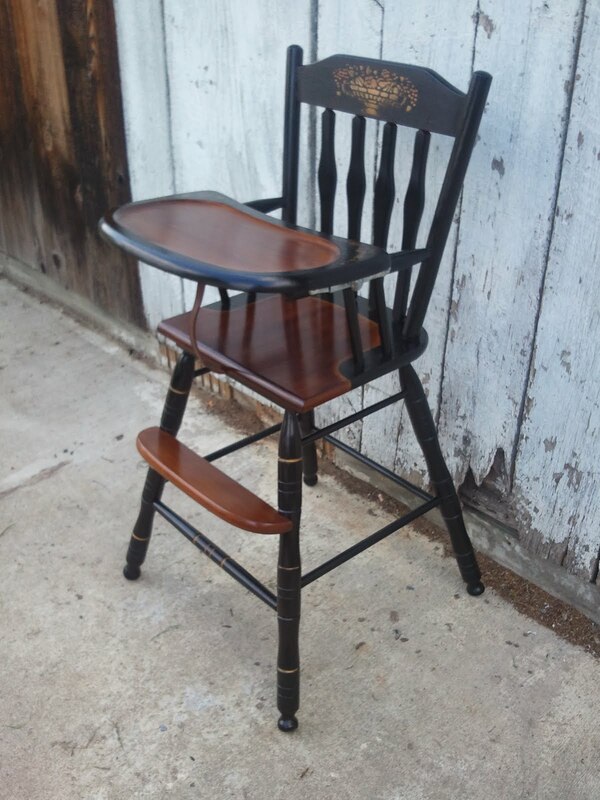 Now that all babies are too grown-up to use the high chair, I plan to sell it. 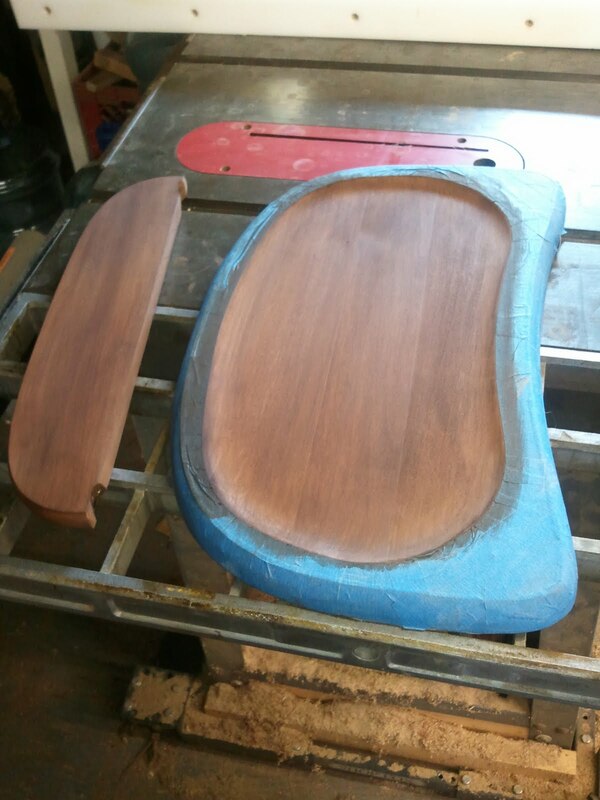 The finish on the tray is a little worn, but the rest is in great shape. Could you please give me a price range for selling this piece? 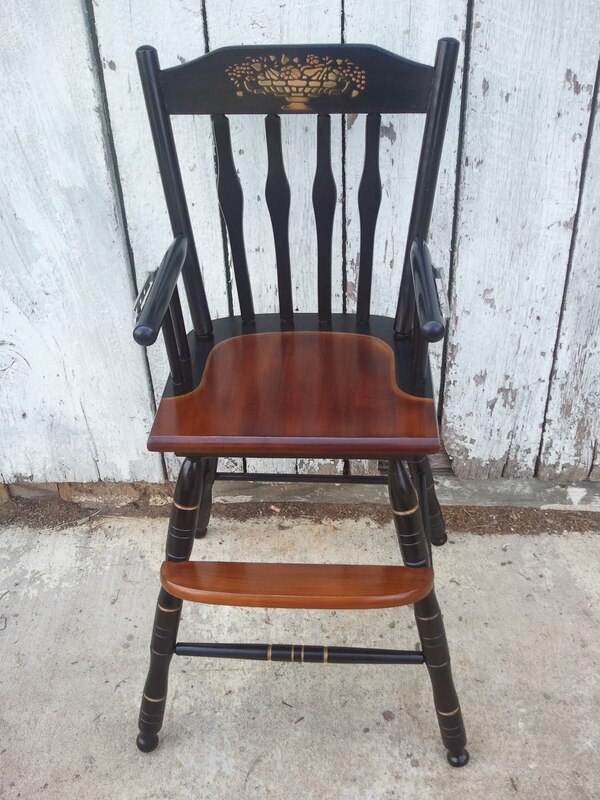 Funny, I live 15 minutes from Brunswick md and I too own the high chair, but it must have been totally refinished at some point, because the whole thing is stained brown! I bought it off of Craigslist about 6 or 7 years ago. We happen to have recently come into inheriting our own Hitchcock dining room table and chairs and now that I know my highchair is also Hitchcock I would love to have it refinished. Any ideas on who could do this? You possibly?, if you're from MD? Thanks! They look beautiful!